This is the exhaustively intricate tale of Lunctis Viribus as told by the amazingly talented mad scientist Andy Parker of Avery Brewing Company. Avery’s reigning “barrel herder” explains the ups and downs of blind tastings, and what it takes to make the cut from barrel to bottle. Andy Parker, Avery’s reigning “barrel herder” explains the ups and downs of blind tastings, and what it takes to make the cut from barrel to bottle. 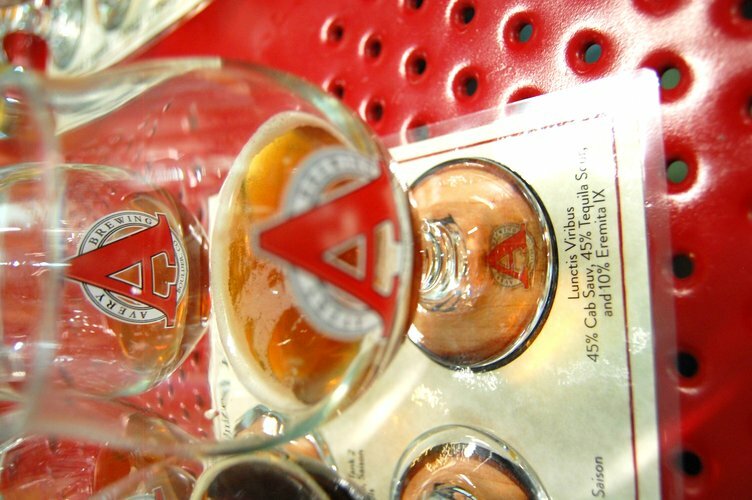 It began 13 years ago when Parker, still a newbie in the brewing industry, began his brewing journey as the fourth employee of the celebrated Boulder brewery, Avery Brewing Company. The tale gets interesting in a few short years when Russian River Brewing delivered a few oak barrels as a gift to Parker in 2003. 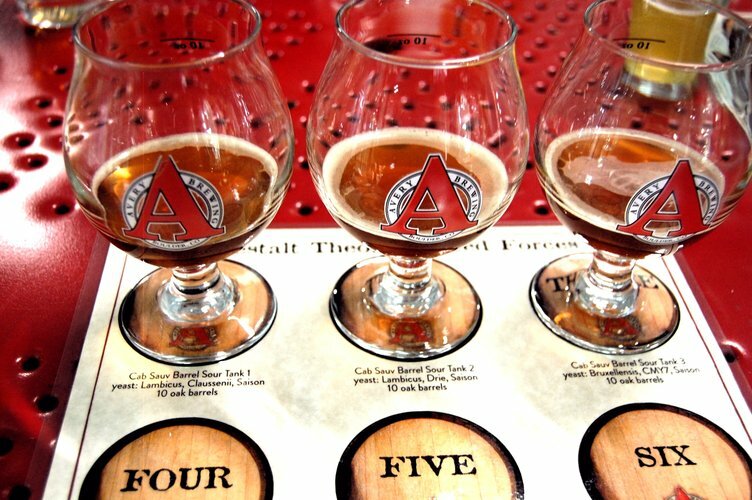 Parker began to experiment with creating his now infamous barrel-aged beers, and it wasn’t until 2009 that he produced Avery’s first beer in the Barrel-Aged Series. “Some worked; some didn’t,” he discovered. “This is experimental brewing!” the enthusiastic Parker announces to a crowd of eager tasters, this particular exchange happening on behalf of Barley’s Angels of Colorado at the end of catwalk of the second story of the impressive brewery. Parker’s background has evolved from becoming the lead of Avery’s experimental arm to his now role as head of Research and Development for Avery, which allows him the creativity to do what he loves best. 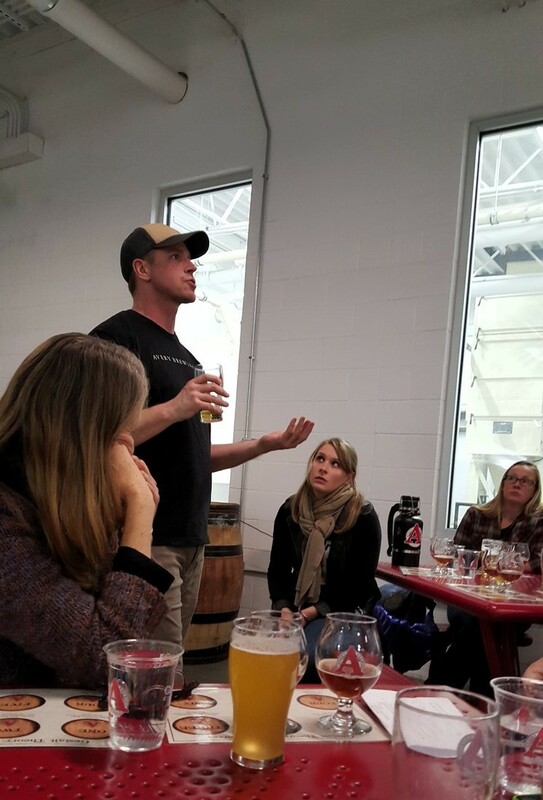 “We’re hanging out, drinking beer, talking about beer – what can go wrong?” he said, introducing the group of exclusively women to the world of experimental brewing and the creation of the No.33 in the brewery’s Barrel-Aged Series – Lunctis Viribus. 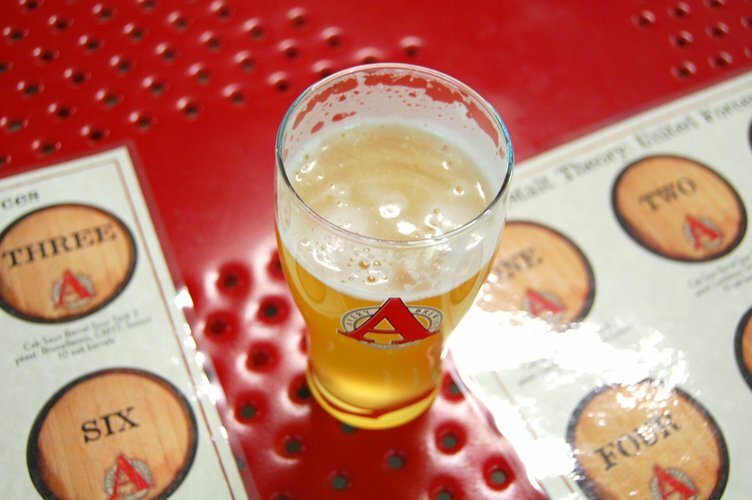 “This is why I got into brewing – to do creative stuff and to have fun,” Parker said while explaining that Avery’s sour program centers around barrel-aging to produce their line of sours. Parker told the group about his thought process in creating Lunctis Viribus, starting with the first blind tasting, and ending with the soon-to-be-bottled version – which was our Tasting #6. 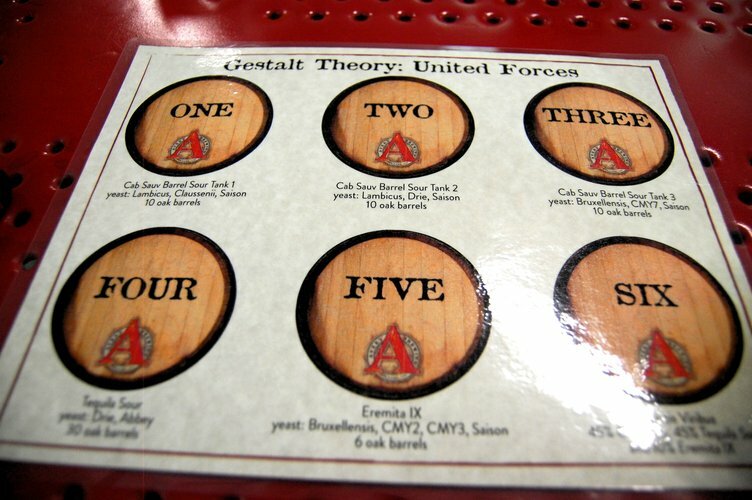 “The very first blind tasting session we did (we) took a bunch of Avery people and have them taste Tank One, Tank Two and Tank Three – those are Tastings 1, 2 and 3.” Lunctis’ tale officially began when Parker withdrew samples of the three different sours, each of which he aged in three separate Cabernet Sauvignon barrels, and one taster of all three samples mixed together (Tasting #4). The results? “Kinda boring.” He said tasters liked the taste of all three red wine sours blended together, but the beer still lacked something. So, he went back to the drawing board, thinking about what barrel-aged sours might work to elevate his red wine barrel-aged sour base. The tale of four blind tastings bobbed and weaved its way into landing on the final proportions as follows: 40% red wine barrel-aged sours (a blend of all three from the initial tasting); 40% tequila barrel-aged sour; 5% Eremita IX; and 15% of a “another” tequila barrel-aged sour Parker added somewhere about the third tasting, which is all part of embracing the “chaos factor,” which is a recurrent theme of the barrel-aging process. 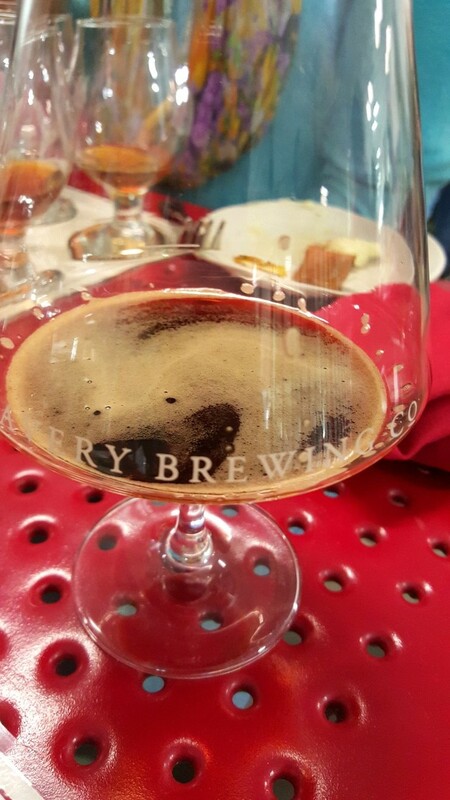 Avery’s Barrel Aged Series includes Tweak, a stout with coffee aged in bourbon barrels. Thankfully, you can drink it! The release of Lunctis Viribus happens this Sunday, on Valentine’s Day at Avery Brewing Company in Gunbarrel. Bottles will be sold at the brewery and select locations across the country. 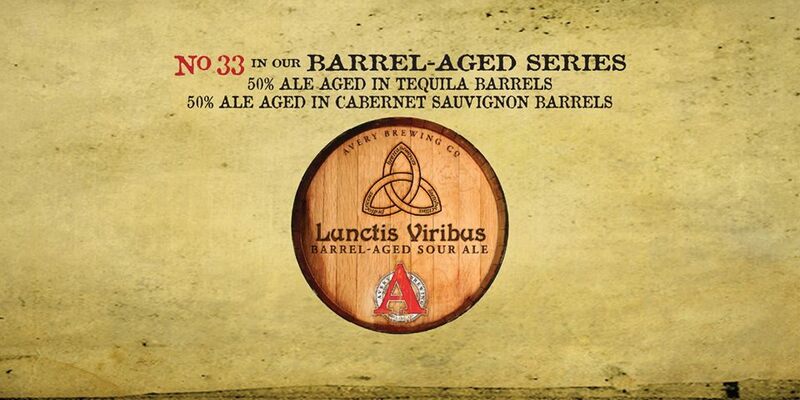 EDIT: The final version of Lunctis Viribus contained 45% red wine barrel-aged sours; 45% tequila barrel-aged sour and 10% Eremita IX. The configuration we described above was the second place winner of the blind tastings, and not the final product to be bottled. We apologize for the error.